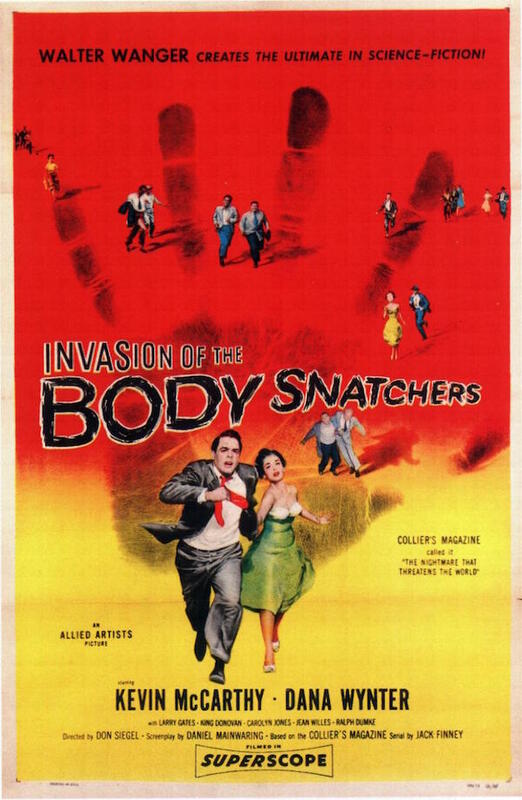 Invasion of the Body Snatchers (1956, USA) is a Science Fiction Thriller film directed by Don Siegel. Remade in 1978: Invasion of the Body Snatchers. Synopsis: In Santa Mira, California an alien species of human duplicates, grown from plant-like pods, is taking over the small town. They come from another world! Walter Wanger Creates the Ultimate in Science-Fiction! Collier's Magazine called it "The Nightmare That THREATENS THE WORLD"
This page was last modified on 17 September 2018, at 11:16.